Let's pick up the thread of my last post. In my account of the Pot Roast, I provided commercial interludes of my chicken preparation. I did not forget the advice given me by my readers after my last quest for chickeny excellence. (By the way, is "chickeny" really the best adjectival form of chicken? Suggestions?) And so, after letting the chicken dry itself in the fridge the past few days, I drew it out today for final preparations. 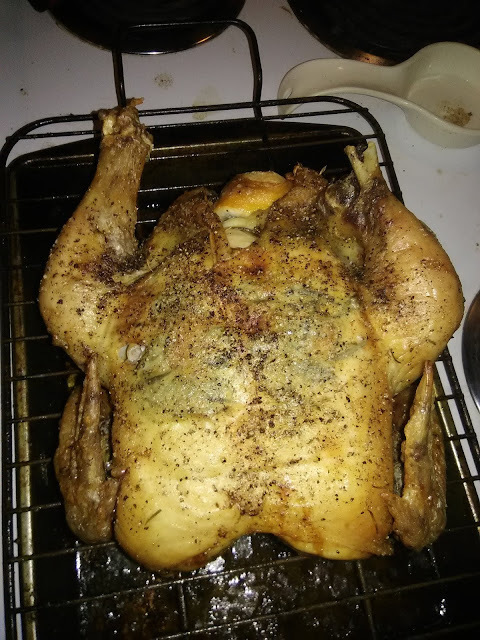 You will notice the chicken is now breast-side down. My usual method is to cook it back up for most of the time, and then flip it breast-up for the last 30 minutes or so. I am going to try this one more time. My goal is to get reasonably good skin on all sides, and I want the breast side on the gravity side of the drippings. But what I don't know is whether I can achieve the excellent skin that I want. We'll see. 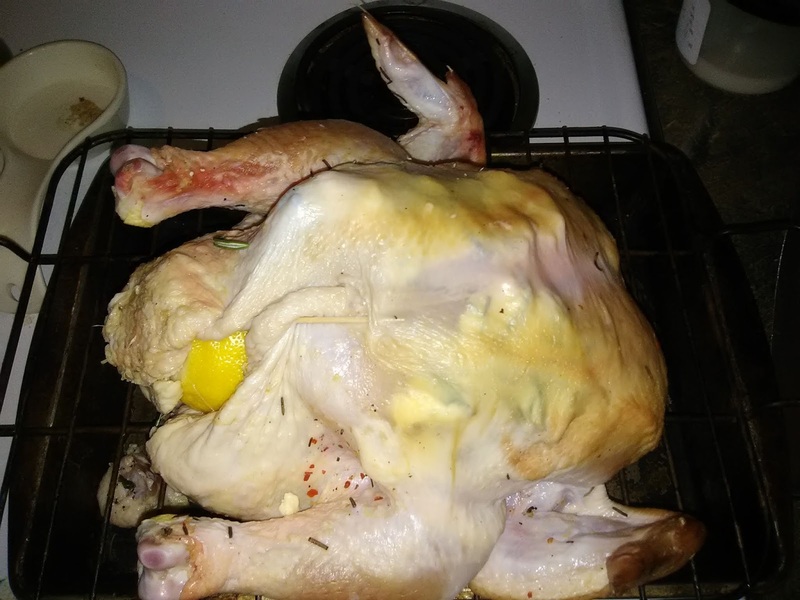 And, yes, it would look better if it were trussed, but I figure that the skin gets crispier in more places if it isn't. In the end, I care less about how it looks when it comes out, and more about how it looks and tastes on my plate -- and in my belly! 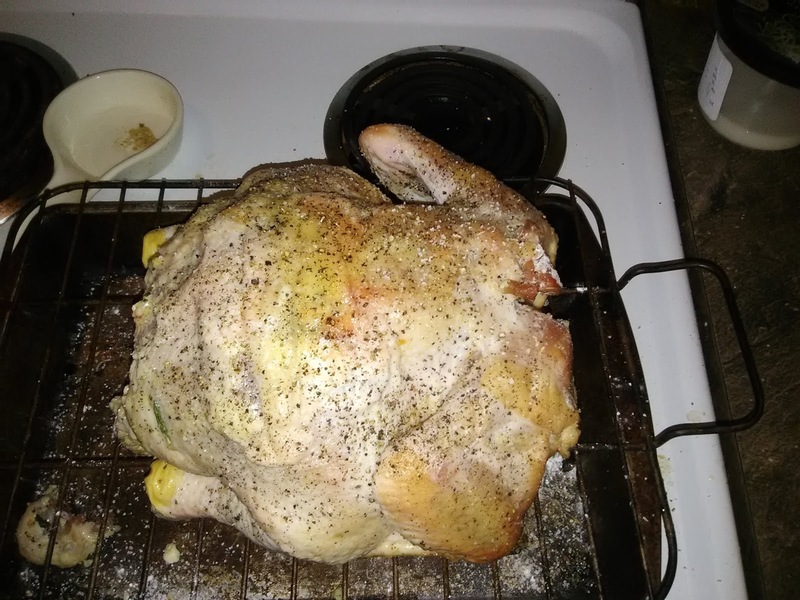 In a few minutes, I'm going to pop it in the oven at 450 degrees for about a half hour, then turn it way down, as low as possible, because I must leave it unattended while I hear confessions and offer Mass. I'll be back around 6 pm or so. 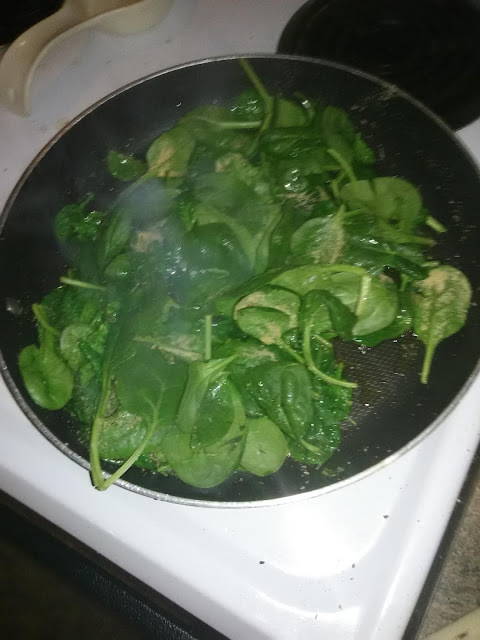 Rub the baking powder into the skin--it changes the Ph which makes it crisp--then sprinkle other spices on it. Then invite folks over for dinner! I haven’t used the baking soda trick. It sounds supicious. 😕. I start the bird ind a sper hot oven then turn it down to the regular Temp covered with foil until cooked. You might remove the foil and turn on the broiler at the very end for a couple of minutes. I so coat the skin in bacon fat or even put on a layer of bacon on the top of the bird. Rubbed sage, rosemary, and thyme under the skin.